Attends has recently redesigned its Extra XXL Protective Underwear (#AP0750) to create a more absorbent underwear with better coverage and protection and it is available at Incontinence Help. The new product is now called Attends Bariatric Underwear and fits waist sizes 68” to 80”. Two layers – an acquisition layer and a super absorbent polymer – work together to direct fluids into the core and pull it away from the user’s skin. This not only helps keep skin dry and prevent diaper rashes, but also controls odour. This bariatric disposable pull up underwear features an improved absorbent core that is longer and wider than before, providing everyday incontinence protection for larger sized men and women. The pullup brief does not have any tapes or tabs, so it is pulled up and down like regular underwear. 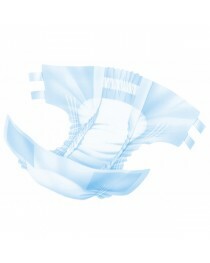 The protective underwear’s stretchy cloth side panels are breathable to promote dry, healthy skin. The comfortable elastic waistband provides full coverage to prevent leaks. 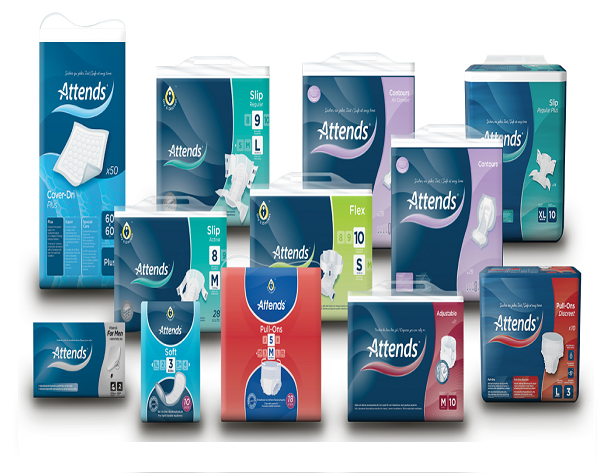 Attends protective underwear is ideal for moderate to heavy incontinence protection during the day or night. Attends Bariatric Underwear XXL is available in discreet packaging in a pack of 12 and a case of 48. Be sure to check out our full selection of bariatric briefs for larger sized individuals.